When popularised 40 years ago, faxes were well adapted to analog networks. This was at that time the easiest -and safest- way to quickly pass a document to a remote location. But telephony is changing, and both PSTN and ISDN technologies (classic telephony) are phasing out: Between 2018 and 2025 in most European countries, the all-IP migration will be completed. But facsimile transmissions have not been designed for IP networks. Fax uses the analog signal in a different way to regular voice, and VoIP is optimized for voice, and not for fax signaling, thus unreliable; it will not get any better. Today the use of a fax machine in a VoIP environment remains possible, but according to Règlement ILR dated 9th of August 2017, ‘‘there is no guarantee of end-to-end interoperability’’. It means there is no possibility for Telecom Providers to control from one end to the other end if the facsimile is complete, no matter of distance or time. Some documents can be incomplete, or the communication can be cut. A short fax with 5 pages has more chance to be completed than a large 10 page one. A daily fax to one specific number can work one day, and won’t work the next day, due to random problems. 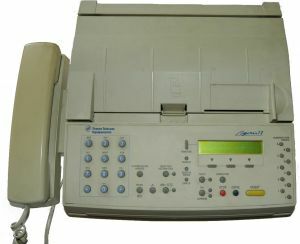 Fax machines on modern networks cannot be successfully supported anymore. Telecom Providers do not have any legal duty in this matter. Assistance between Telecom Providers to make fax work is no longer available. 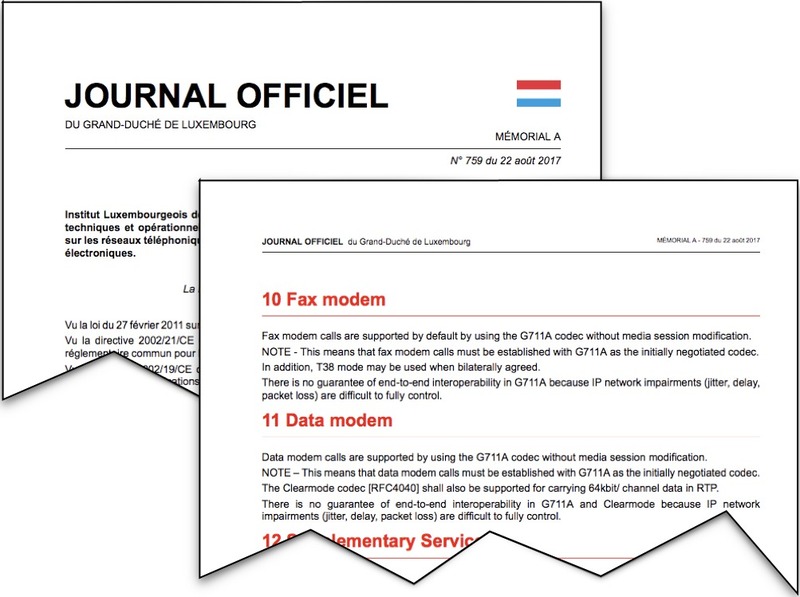 Today major players in Luxembourg do not guarantee fax transmissions in SIP/VoIP. This is specifically indicated in their Terms & Conditions, or in their quotes. But there is a solution: the best way to send a document is a PDF attached to an email. It’s simpler, easier, quicker, and even safer. So, is fax dead yet? Well, not totally, but the end is near. If you want to know more do not hesitate to contact us.